A commercial inspection may also be known as a commercial property inspection or simply a commercial inspection that requires the certified inspector to make observations, conduct research, and report findings. A-Pro® will conduct a comprehensive Commercial Building Inspection at a fair price in an effort to help the commercial property buyer avoid costly undisclosed problems with possible concessions from the commercial property seller. 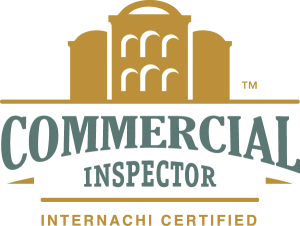 How is a commercial inspection defined according to InterNachi®? “Just as a land developer may hire a general contractor to oversee a variety of subcontractors who perform the construction work, a commercial investor often hires an inspector whose responsibilities typically involve overseeing a variety of subcontractors. These subcontractors provide specialty inspection reports on building systems, such as HVAC, electrical, roofing, structure, and whatever else is called for in the Client/Inspector Contract. Although the Standards are available and extremely useful, the goal of a commercial inspection is to provide the client with the information they need to enter into buying transaction negotiations with as much power in their possession as possible. In a negotiation, knowledge and documentation are power. Gathering this information is the process of due diligence and where commercial inspectors play a key role. The due diligence provided by commercial inspectors will vary, sometimes substantially, with the nature of the transaction. Variables may include building age, type, use and location. Although the client must make the final decision on what services will be supplied, the expertise of the inspector in providing advice and insight may be crucial. Background for providing this advice may require a preliminary inspection by the inspector, the inspector’s subcontractors and, sometimes, the building’s maintenance personnel”.